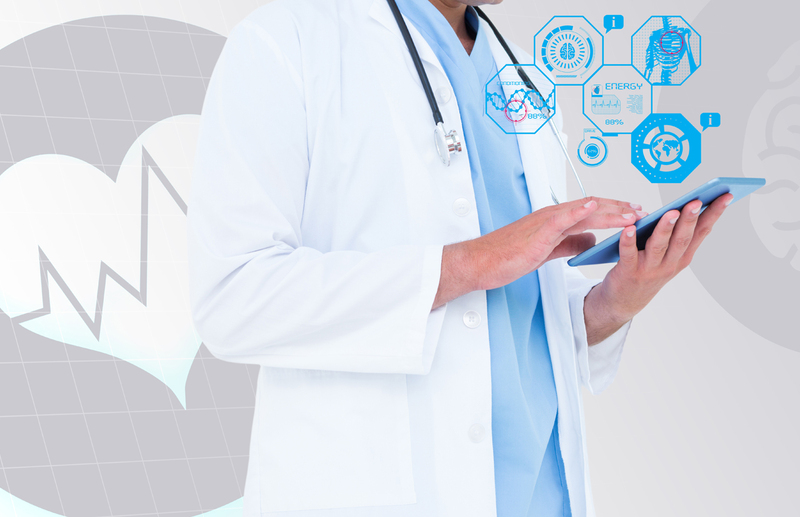 Healthcare is a sector that will see widespread adoption of technologies like machine learning, natural language processing (NLP), and artificial intelligence (AI) in the years to come. A report by a leading research firm estimates that the healthcare sector’s global spend on AI was USD 2.1 billion in 2018 and this is projected to grow to USD 36.1 billion over the next six years. Availability of complex data sets, need to reduce increasing healthcare costs and availability of integrated solutions specially tailor-made for healthcare applications are some of the factors that are expected to drive AI adoption. There are numerous healthcare functions that will be benefitted by AI adoption. The foremost among these is that of medical consultation. Babylon, an app that’s getting popular in UK, receives inputs on patients’ symptoms and uses speech recognition to match these with a vast database of ailments and provides consultation to patients. Digital consulting using AI is expected to become a fairly common service in the years to come. Hospitals can also deploy AI for functions that involve repetitive tasks where the volume of data is huge. Running and analysing various tests that could include scanning X-Rays, CT scan reports, treadmill test reports and other cardiology related reports. AI systems will help hospitals reduce costs while performing these tasks with greater accuracy. Customised medicines and treatment is another area where AI has the potential to diagnose illnesses early and help healthcare units deliver customised treatment. This area will receive a boost due to projects like the human genome project where illness symptoms are linked to the DNA of a patient. Here AI can scan and analyse patient data and recommend possible courses of treatment. Digital nurses are also becoming more and more popular. Sensely, a US based startup, has created Molly, a digital nurse, and uses speech recognition to interact with patients. Using a classification engine the digital nurse listens to patients and delivers appropriate responses based on queries. Drug discovery is another area where AI systems can bring in greater efficiency. Drug discovery is a process that costs pharma companies billions of dollars and the clinical trials involved are costly and time consuming. Today there are many solution providers offering end-to-end drug discovery solutions that are capable of reducing drug discovery costs while speeding up the whole process. Hospitals around the world, including in India, have started using robots in surgical procedures. Due to the precision capabilities of robots they are able to conduct surgeries that are minimally invasive. Moving forward we can expect to see more innovations in this area. Hospitals can also benefit greatly from AI solutions in the area of data management, which could involve tasks like collecting medical data, patient history and other information. Here robots can gather, store and retrieve data faster. In the recent past, theft of medical records by hackers has become a critical concern. Information security is an area that AI systems can address in a different way by analysing patterns, identifying loopholes and leakages in the information system and plugging them. To conclude, AI has the potential to revolutionise the way healthcare is delivered. Both healthcare providers and patients can immensely benefit through AI powered systems that have the potential to deliver higher efficiencies at reduced costs.